How to make serious money for both you and your company - from the top selling author of the One Minute Manager. 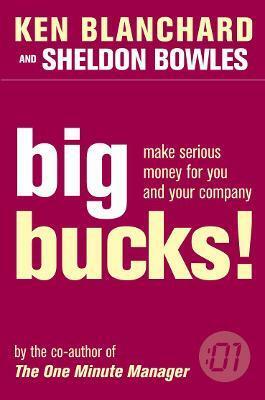 Packed with practical advice, this is a must-read for any individual or business professional seeking to create money. Ken Blanchard is the founder and Chairman of The Ken Blanchard Companies. His One Minute Manager series has sold over thirteen million copies and been translated into more than 25 languages. He has also written or co-authored numerous other books, including Gung Ho!, Big Bucks! and Raving Fans. The Blanchards currently live in San Diego.